Just prior to the deadline for issuing a new roof crush standard, the National Highway Traffic Safety Administration has announced that it is going back to the drawing board under pressure from Congress and consumer advocates. Earlier this week, U.S. Department of Transportation Secretary Mary Peters said that the final standard would be delayed until Oct. 1. “Because of the number of new comments we received and the additional analyses that are required, additional time is now needed to complete the final rule,” she said in a letter to the congressional committees that oversee NHTSA. The agency, which has not updated its rollover safety standards in over 35 years, was originally scheduled to send a new roof crush rule to Congress by July 1. Under the proposed version, a roof would have been required to support 2.5 times the vehicle’s weight, up from the current standard of 1.5 times the car’s weight. The delay comes in the wake of ongoing complaints from consumer advocates and members of Congress, who contend that the proposal is not strong enough. A bi-partisan group of senators sent a letter to NHTSA in June, urging the agency to take additional time to develop a more stringent standard. Critics assert that most new cars already conform to a 2.5 standard and that the standard should be raised even higher, to 3.5. 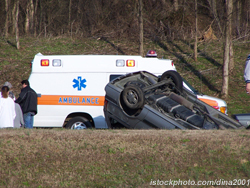 A controversial provision in the proposal stated that the standard would preempt state law claims brought by individuals injured in rollover accidents. A study released earlier this year by the Insurance Institute for Highway Safety found that the stronger the roof, the lower the risk of injury to occupants of a vehicle. Plaintiffs’ attorneys say that that study is boosting one of their key claims in these cases – that weak roofs are the main cause of death and serious injuries in rollover accidents. For a story about that study, see “Report drives home plaintiffs’ argument in rollover cases,” Lawyers USA, April 7, 2008. Search terms for Lawyers USA website: Durango and Lawlor.